Slick Popup Lite is the best free popup plugin which has a plethora of features. 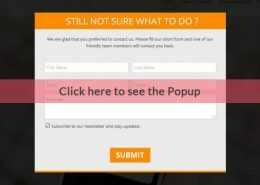 You can create a great Contact Form 7 popup with ease & simplicity. Perfect for any website with a single product or service. 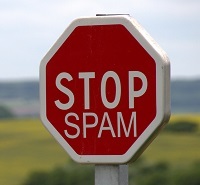 Place a form on all pages of your website and get ready to get more leads. You can activate the popup form with any HTML element on your website, be it an image, a button, a text link or an icon. Just any! Anchor Tag Click this anchor tag to activate the popup. Theme or HTML Button Activate the popup on button click. How to activate from an element within the page? Enter the Popup Heading and Set typography of the Heading. In case you don’t want the heading, leave the text Blank. Here you will find Options to set the Side Button which will appear on your Website. Here you will find options to put Custom CSS code and External Selector. Click on Save, your Slick Popup is Created.